The Mayfield Stripe Oxford is a classic menswear staple. This light blue and white, striped oxford shirt will become an easy part of your workwear rotation. Constructed from 100% cotton oxford fabric, sourced from luxury Portuguese mill, Somelos. 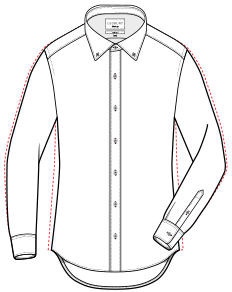 Finished with the Ledbury Button-Down collar and a standard body length. Available in classic and tailored fit.